I've always loved a cup of tea in the afternoon. 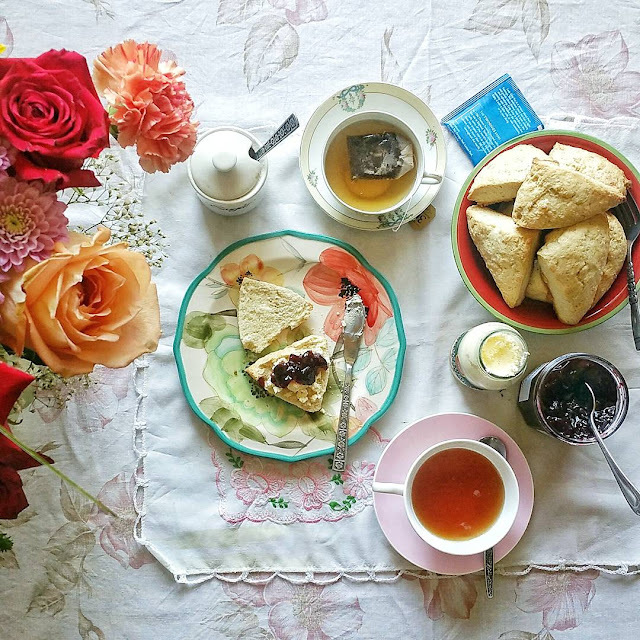 Today I prepared some scones from scratch for the first time. 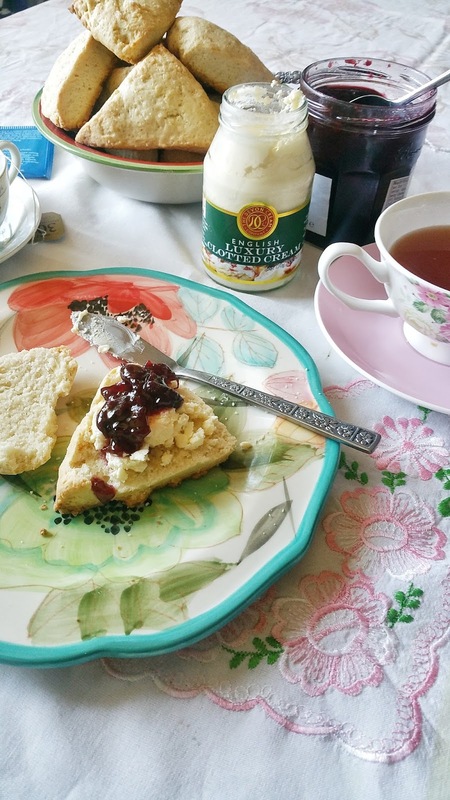 I had recently bought a jar of clotted cream, as I was so curious to see what it tastes like, and I know it needs to be spread on scones together with delicious jam. The scones came out delicious (I followed this RECIPE). The clotted cream can be described as a fluffy, sweet butter. It was fresh, dense and it created a perfect marriage with the jam. I am not deceived but very happy with my purchase. It's a product of England, not easily found in the States unless it's imported. You can order some HERE . Matcha Love ~ Yes or No?